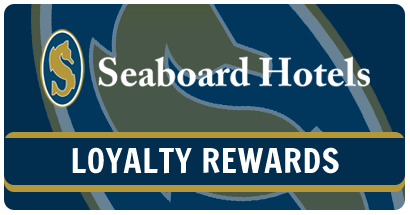 Posted July 23, 2018 & filed under Events in Dewey Beach DE, Things to do in Rehoboth Beach DE. If you think that fun in the sun on the Delaware coast ends after Labor Day, think again! September is a great time to visit the seashore, with average temperatures in the 70s. When you think of the beach, sandcastles are probably one of the first things that come to mind. 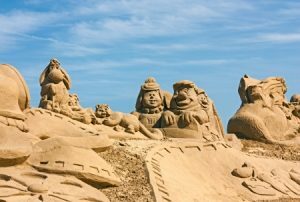 On Saturday September 8th, the Rehoboth Beach and Dewey Beach Chamber of Commerce is pleased to present the 40th annual Sandcastle and Sculpture Contest. The event, which is free of charge for spectators, will be fun for the entire family. Adults, children and businesses will express their imagination and artistic talent by creating one-of-a-kind sand castles and competing for trophies. In addition to traditional sand castles, past entrants have built fantastical creations including mermaids, sharks, crabs, dolphins, swamp animals, pyramids and even Olympic athletes. Check out this video to see some of last year’s creations! Registration begins at 8 a.m., and judging is at 3 p.m. The public can vote for their favorite sand castles in the adult and child (ages 7 to 14) categories by completing an event evaluation. The fun will be happening along the beach between Delaware Avenue and Laurel Avenue. If you are planning some fun in the sun on the Delaware coast this September, make sure to book a room at the Atlantic View Hotel, and be sure not to miss the Sandcastle Contest! The Atlantic View Hotel is a six-minute drive from the Sandcastle Contest. Give us a call today at 1-800-777-4162 or book your stay online!